In unconventional shale reservoirs, the presence of natural fractures is common and widespread. Multi-stage hydraulic fracture treatments are used to generate complex fracture geometry and stimulate reservoirs to unlock hydrocarbon in unconventional reservoirs. Natural fractures further complicate the complexity of the fracture geometry. In this paper, the objective is to investigate the impact of natural fractures on multiple hydraulic fracture propagation using an in-house fracture propagation model. We have developed a complex hydraulic fracture model to simulate multiple fracture propagation in naturally fractured reservoirs. The model can calculate partitioning of fluid between multiple fractures, fracture interaction within a stage and between stages, as well as the interaction between hydraulic and natural fractures. For simultaneous multiple fracture propagation, the exterior fractures generally take the majority of fluid and propagate at the expense of the interior fractures. Natural fractures can retard the growth of hydraulic fractures and change the fluid distribution between fractures and propagation trajectories of hydraulic fractures. In a reservoir with a heterogeneous natural fracture distribution, the interruption of natural fractures can complicate fracture geometry. The higher density or smaller spacing of natural fractures can mitigate stress shadow effects and favor more fluid flowing into the inner fractures. 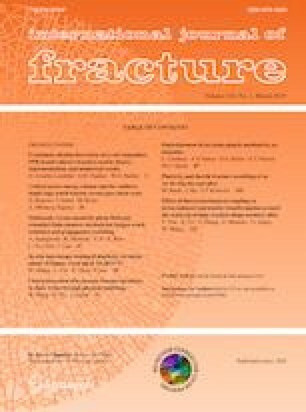 Due to the uncertainty of natural fracture distribution, the reliability of the complex fracture geometry provided by numerical models has been challenged. This paper demonstrates the potential of incorporating diagnostic results to constrain numerical results. Through combining diagnostic results with the fracture model, the accuracy of predicted fracture geometry can be improved. The authors would like to acknowledge the financial support from the National Natural Science Foundation of China (Grant No. 51804334) and the Science Foundation of Sinopec Group (Grant Numbers P16058, G5800- 17-ZS-KJB006).